and now: Dallee and Brian Jones sound cards too. 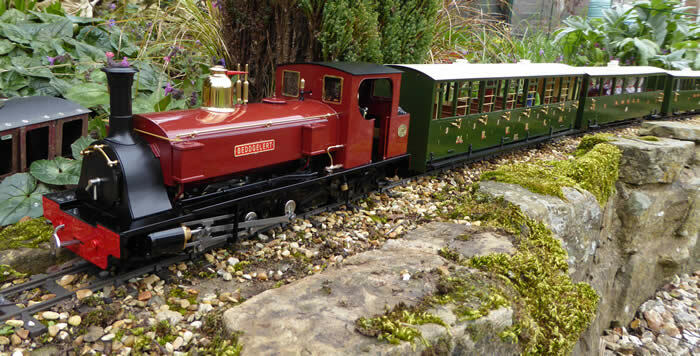 Our systems have been developed over the last 20 years and are now perfectly matched to the requirements of garden railway and indoor radio controlled trains with the features you need. All of our systems, whether supplied as separate components or as a loco kit are designed to be plug and play as far as possible for ease of installation. Note that the OMNI system is designed by Geoff Garside of Timpdon Electronics.Now incorporating Timpdon Electronics too, including the new points and signals r/c controller and point and signals actuators. Harecroft "Makers of the obscure and peculiar"
Founded in September 2016, our aim is to supply an ever growing range of quality 16mm scale locomotives and rolling stock kits, specialising in scale models of industrial and unusual prototypes. 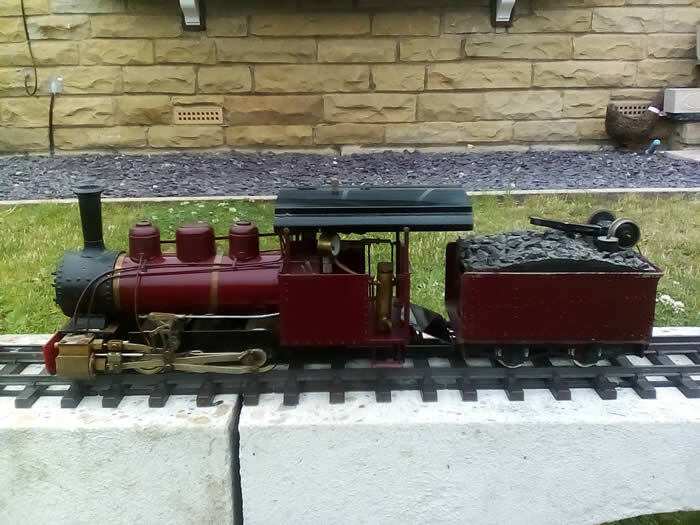 SLR Models is a Yorkshire company run by Southgate Light Railway, producing high quality 3D printed items for 16mm scale garden railways. We offer items such as working loco lamps, station name signs and lineside accessories but can also custom design and print items to your requirements. I have been working for just short of forty years as a traditional coach painting and coach builder in the motor vehicle industry. Much of that time has been working in Classic and Vintage restoration. 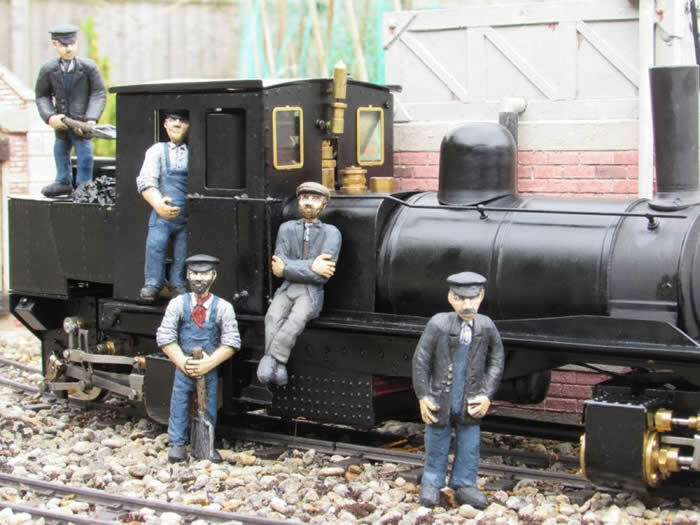 specialising in realistic 16mm figures of workmen and railway men and women with varying separate heads and bodies that can be arranged in many different ways to give variety. The range is being extended to include passengers, military figures and others. 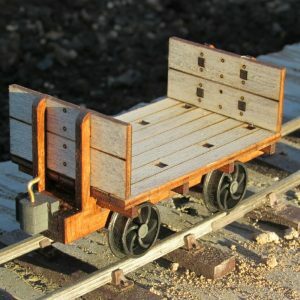 PS Models a range of small industrial loco and rolling stock kits. An inexpensive start into 16mm and a great basis for more experienced modellers to build on. Model Engineers Laser supply laser and water cut parts for many standard designs and their own designs. These are in steel or brass and are cut on some of the latest machines. Many parts come with tabs and slots to aid construction, frames can be provided ready welded. Construction articles have appeared in magazines and books. Drawings for their own designs are available with hints and tips for building the models. 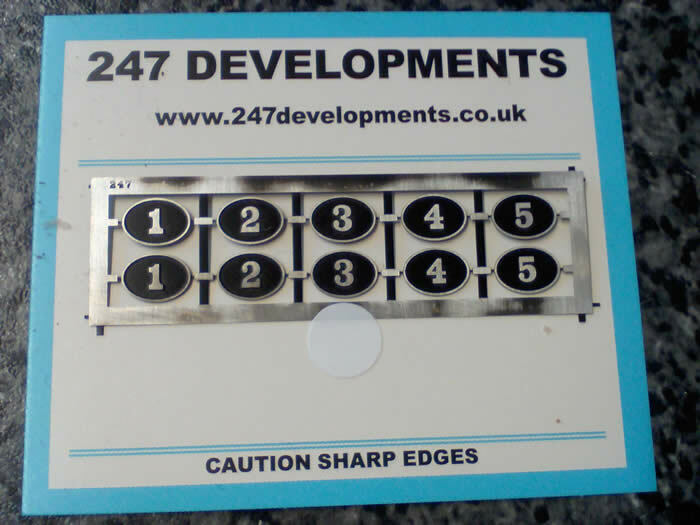 Tooling, wagons and makers plates are new lines which are proving very popular. 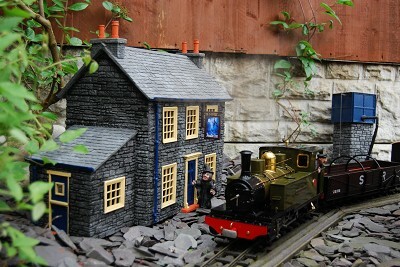 See the web site at www.modelengineerslaser.co.uk for full details. 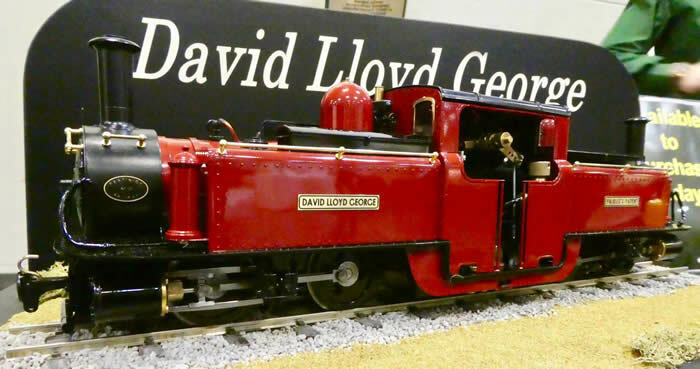 Roundhouse have been manufacturers of live steam locomotives for 'G' Scale, SM45 & SM32 since 1982 and are the major supplier of this type of model in the UK. Though they are based in Doncaster, England, birthplace of some of the worlds most famous main line steam locomotives. 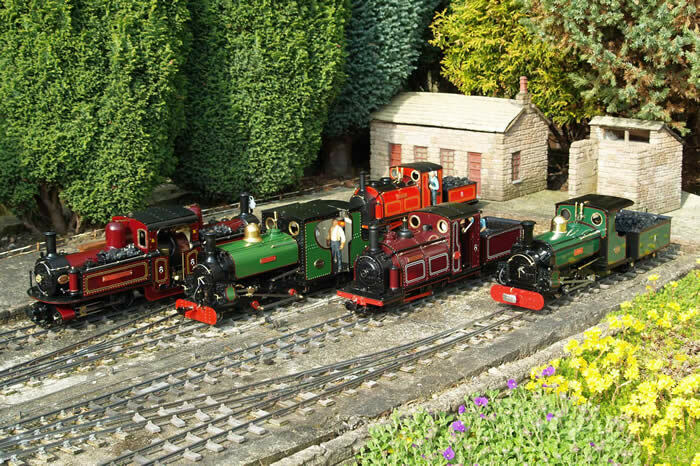 Roundhouse engines are in operation on garden railways round the world, bringing the sights and sounds that only live steam offers to thousands of satisfied operators. Visit Roundhouse Website There is a DOWNLOADS and TECHNICAL page which is very useful for information and servicing. 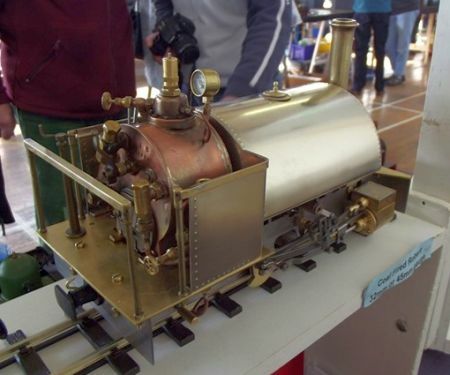 DJB Model Engineering Ltd is a manufacturer of 15mm/16mm R-T-R live steam engines and kits as well as conversions to coal-firing for existing mass-produced models. We have recently launched a new range of Isle of Man rolling stock and have numerous useful items such as whistles, lamps, axle pumps and other live steam fittings. We also have a comprehensive range of transfers for British, South African and American narrow gauge prototypes. Manufacturer and supplier of the famous ,"Mann Improved Gas Valve". Repairs to all kinds of Locomotives, live steam and electrically powered. Manufacturers and suppliers of add on parts for Accucraft. Diesel sound cards. 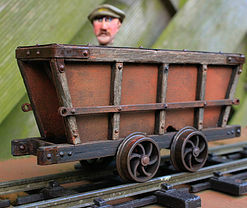 Perfect World are a Yorkshire company manufacturing narrow gauge rolling stock kits and battery locos mainly from Welsh Narrow Gauge Railways, all of which are also available ready to run. All are suitable for 32mm gauge track and many are also suitable for 45mm gauge track. The latest to avoid that clash of frequencies! !